Reduce utility costs while maximizing your vehicle availability. Charge faster, charge safer, avoid peak loads. What is electric vehicle monitoring and why do it? 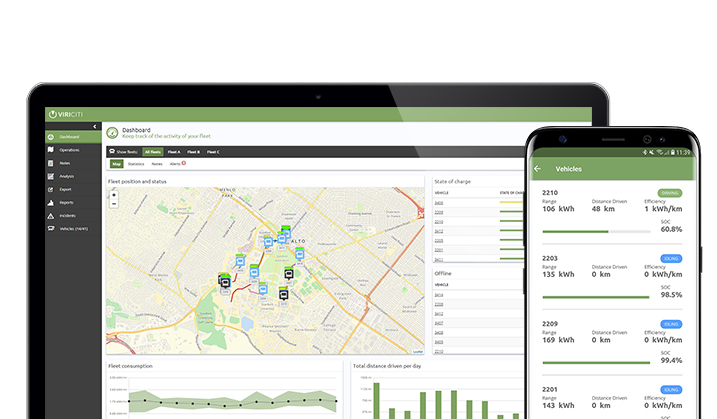 Electric vehicle monitoring is the process of collecting, analyzing, and utilizing real-time vehicle data for the purpose of operational improvement and increasing efficiency of your fleet during operation. The data is collected by a vehicle telematics hardware system, which is connected through the vehicle’s CAN line. The data is 24/7 available real-time, and is simultaneously stored the stored for reporting purposes. ViriCiti offers multiple packages for electric bus monitoring, each designed to serve specific areas of your operation. The basic operator package focuses on operational improvement and planning, the driver behavior package provides insights into efficient driving and how to improve, and the maintenance package serves the maintenance team or the OEM. When monitoring your operation with ViriCiti’s electric vehicle telematics, real-time information will assist your dispatchers and guarantee on-time arrivals, whilst historical data will optimize your planning and reduce the total cost of ownership. As a result, you can deploy your vehicles’ batteries to their fullest extent, allowing you to increase your vehicle utilization by 25%. Through monitoring, you are aware of the battery state of charge at any time, and ViriCiti will send out automatic alerts when your operation deviates from your planning. This way, your operation always runs smoothly. Finally, you can predict the exact energy usage of specific routes by comparing routes and historical data. Another benefit of vehicle monitoring with ViriCiti is the in-depth reporting of all the collected data. This allows you to gain detailed insights into the performance of your vehicles and drivers, and compare them on several variables. 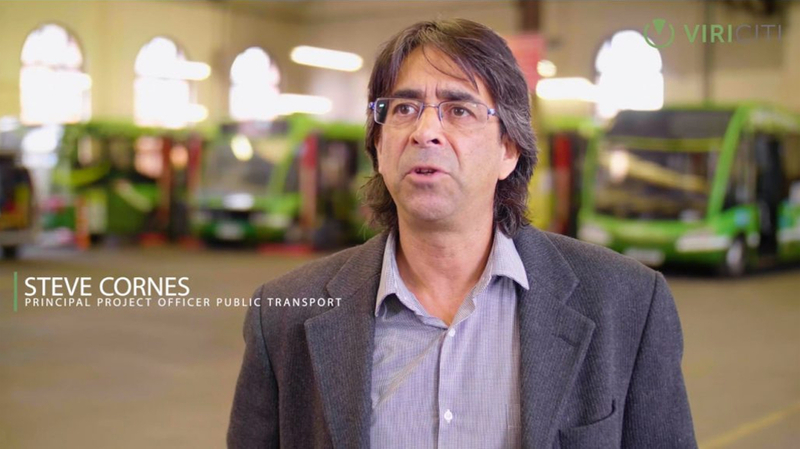 You can evaluate each individual vehicle in order to improve the driver performance, compare regeneration rate, and train your drivers to increase the efficiency and range of buses. The driver behavior package is an additional package to the Basic operator package. Another way the ViriCiti platform can assist you in lowering costs, is through technical insights. The data allows you to identify technical failures and where they occur -and will help you prevent them. By being aware of the state of your vehicle, you will be able to plan maintenance proactively without disrupting rotation. This way you can avoid serious issues. When errors do occur, our remote diagnosis tool will tell you the exact location of a broken battery cell or vehicle part. The ViriCiti data-insights are available on your tabloid, phone or computer 24/7 and up to cell-level. Just leave your details below and we will send you more information. We are currently integrated with OEMs in over 20 countries worldwide. Click here for the full overview of all the OEMs we integrate with and filter on specific industries for an easy overview.